The weathermen are calling it! They’re saying it’s going to be a warm winter here in Florida. While I’m sure the weathermen are disappointed, all of the fishermen are excited. Because warm weather in the winter means good fishing, and especially good bass fishing. While bass fishing here in Florida is still amazing during the cold parts of winter, it can be exceptional during the warm parts. Because that is when massive waves of Florida pot bellys move up to the spawning flats, where there locations are very predictable and they become easier to catch. Due to the warm weather these fish will also stay for longer in these areas to take care of there pre-spawn and post-spawn activities. 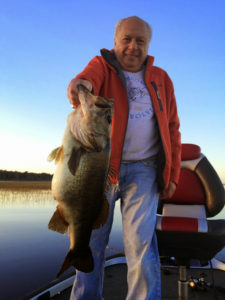 Essentially the entire population of bass on Lake Toho will be holding in predictable spawning flats for the entirety of the winter. Only moving from these areas after harsh cold fronts. It’s like the fish are just waiting to be caught. Great numbers of bass are already being caught daily by our Lake Toho bass guides in these areas and the action isn’t going to stop anytime soon! 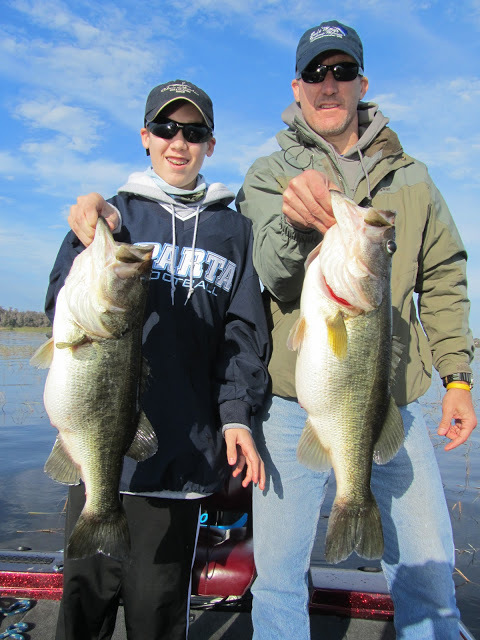 Florida bass will continue there spawning activities all the way through March. And if you’re looking for that one big one, that fish you’ll never forget, the one that all your buddies are jealous of, then you may already know there is no finer place in the USA to catch that trophy than on Lake Toho. An average of 15 to 20 bass are being caught a day with a trophy sized one just about every other day. Yes this winter is going to be one for the history books, whether you’re using shiners or atificials, Lake Toho is the place to be this winter. Don’t miss out on the action!